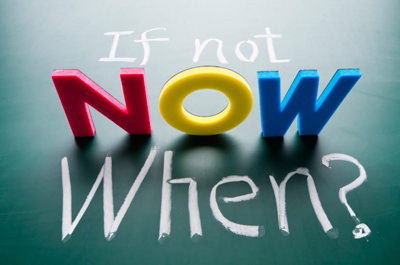 Yes–now is the time. The holidays are right around the corner and definitely require attention now so your business can prepare for the increase in Web usage and the associated risks. There are many reasons for your business to pay close attention to Internet activity at this time of year (and all year). But there is one primary focus that could easily help with all the cyber risks to your business–managing the natural human vulnerability that cyber thieves take advantage of. Did you know that most breaches are initially caused by employee error? “Ninety-two percent of all incidents are, and 84 percent of all data breaches were, unintentional or inadvertent in nature,” states an article from iapp.org. No matter what kind of data loss or breach it is, human error likely played a very important role. Shopping season can bring out even more human vulnerabilities than usual. Malicious Web sites can look real and carry what looks like legitimate product offerings, advertising can be more enticing with hard-to-resist discounts, and e-mails can come from legitimate e-mail addresses hacked by these talented criminals. Humans’ emotional nature can make it hard to resist when we are all looking for that special or hard-to-get gift. It is important to make sure your business–and your employees–are protected by an easy-to-setup solution that is comprehensive and proactive. This is easier than you think. Access to a comprehensive Web management solution will allow you to manage usage in a way that suits your unique business philosophy. This includes whether you want to allow or restrict access to certain Web sites at a particular time of day, monitor usage with reporting features by analyzing trends and tracking usage, or just meet compliance and regulation requirements. This time of year, it is important to spend some extra time paying attention to your organization’s Web use. But Web-use management should be part of your business process and security all year round. Find a solution that is flexible enough to grow or change with you throughout the year, and for this time of year … let them shop … and know you are still being proactive and secure. CyBlock® Employee Web Filtering and Monitoring Solutions provide advanced Web filtering, threat protection, comprehensive employee reporting, Smart Engine analytics, easy-to-use admin and manager portals, and more. Customers can easily configure CyBlock to monitor and manage compliance with their usage policies. CyBlock is available in various deployment options: CyBlock Virtual Appliance, CyBlock Appliance, CyBlock Mini Appliance, CyBlock Cloud, and CyBlock Hybrid. Cyfin® provides advanced employee Web-use analysis and reporting for a wide variety of gateway devices and log file formats. Comprehensive yet easy to use, its customized reporting capabilities supply audience-specific Web-use information with reliable metrics, easy-to-read reporting dashboards, manager-ready detailed audit reports, and Smart Engine analytics. Cyfin is available in various deployment options: Cyfin Virtual Appliance and Cyfin Forensic. Wavecrest has over 20 years of proven history of providing reliable, accurate Web-use management and Advanced Log File Analyzer products across various industries. IT specialists, business managers, HR professionals, Managed Service Providers, and Forensics Investigators trust Wavecrest’s Cyfin and CyBlock products to easily decipher and manage real employee Web activity, manage cloud services, reduce liability risks, improve productivity, save bandwidth, and control costs. Trusted by large government and commercial organizations such as US-CERT Homeland Security, U.S. Department of Justice, USPS Office of Inspector General, National Grid, Johns Hopkins, and a growing list of global enterprises and government agencies. We are a proud long-term GSA contract holder. For more information on the company, products, and partners, visit Wavecrest. Posted in CyBlock, Cyfin, Industry News, Security Threats, Uncategorized | Comments Off on Really? Is it really time to think about holiday shopping? Already?! Show cyber threats who is boss in 2018. Last year went by so fast. In between everyone’s normal busy schedule, most of us had to deal with natural disasters of some kind. For us at Wavecrest, it was Hurricane Irma as well as an above average rainy season. For others, it was Harvey and Maria, as well as fires, flooding, earthquakes, remnants of storms causing wind damage–the list last year seems to be endless. 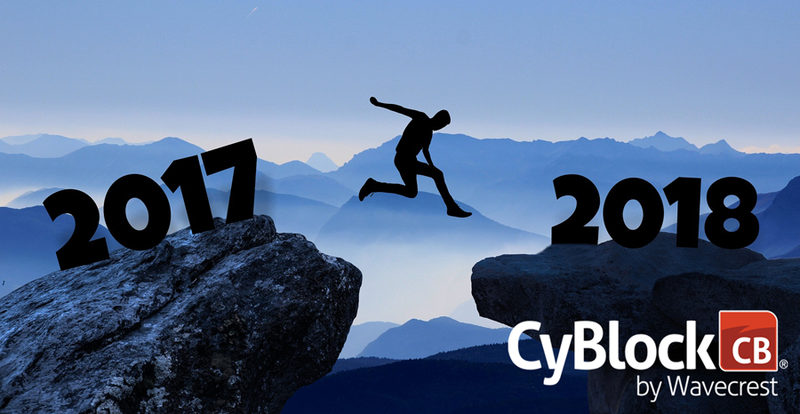 2017 also brought on some notable cyber events with the Equifax breach as one of the top incidents. 2017 was definitely a year for the books. You may have also noticed a shift in the business digital threat protection messaging. We at Wavecrest noticed . . . because it shifted to what we have always focused on. People. People are a big part of the cyber threats that take place in businesses. No matter how automated things are, there is always the aspect of human interaction–human vulnerability. Humans inherently have vulnerabilities. It’s not a fault of one individual over another; it’s not about how good your employees are. There is a point where a business owner, manager, or decision-maker has to come to terms with managing Web use for the sake of the business over “my employees wouldn’t do that” or “I trust everyone working for me.” It may be true that you have the most trustworthy employees, but mistakes happen . . . even to the best of us. Cyber criminals focus on the easiest route first to gain access to your systems. Many times this is the employee, or human, vulnerability. So . . . the new year is here. What can be done to improve managing employee Web use? The key is to make sure you pay attention to the human endpoint because it is not always about a failure in the actual technology. The firewall is great but if you have a weakness with an authorized user, the hacker will get past the firewall. Defend the human endpoint. Consider these as a starting point and build on each or all! MONITOR YOUR EMPLOYEES’ WEB USE! Sorry. It had to be said. If you do not know what is happening, you will not be able to know why, when, or where it happened. And you will not be able to make an informed decision on how to stop it from happening again. Remember that many times the human error that allowed for a breach may have been habitual or reactive so the employee’s memory of how it happened may not be very clear. Make sure to have visibility into the actual Web activity. Analytics. Really another part of monitoring but noted separately due its importance and the flexibility of what you should be able to view and analyze. Find a Web activity solution that allows you to see relevant, drill-down data when you need it. Trends, customizable charts, by user or group, and real-time information on activity and bandwidth use are all things you should be able to analyze easily. All will allow you to expose abnormalities in user activity, identify potential insider threat behavior, flag possible legal liability issues, assess trends for data breach exposure, and observe patterns for lost productivity. Hits versus Visits. This one deserves a sub-bullet. Make sure the Web-use management solution you choose has clearly defined Hits vs. Visits. Hits consist of unsolicited traffic, such as ads, and are not a reliable tracking metric on its own. Visits give you uncluttered, relevant Web activity detail based on user clicks and are a critical component to understanding human behavior. The last thing you want to do is try and sift through a bunch of data that is not even really relevant to the employee’s actual Web activity. Filter. Yup . . . another suggestion that has the “but my employees are awesome” stigma to it. BUT let me just remind you that this is something that will provide another layer of security from phishing, malicious Web links, and data loss. I got your synapses firing now, don’t I! Filtering allows you to block or restrict URL link clicks that an employee may not be aware are malicious. Hackers have become increasingly precise in how things look. Very convincing e-mails and Web links are not rare anymore; they are commonplace. It is not really all about making sure your employee isn’t streaming YouTube all day. Although that should be managed as well, it should all be under your control. Allow it, don’t allow it, throttle it, or open it all up. The solution you choose should allow you to do it all, in your own customizable way. The point is that the human endpoint is still a leading way threats get into your network. It may be through phishing, a malicious ad, or use of a unsanctioned cloud application, or it may even be a human error such as the delay of updating software. Whatever the issue, you have to be as proactive as possible to protect your network. Educate your employees continuously, have a comprehensive Web activity solution in place, make sure your Acceptable Use Policy is current, make sure patch management is an active process, and hug your IT people regularly because they are usually some of the busiest and stressed people in your organization. Here is to showing the cyber criminals who is boss in 2018! Happy New Year! Wavecrest has over 20 years of proven history of providing reliable, accurate Web-use management and Advanced Log File Analyzer products across various industries. Managed Service Providers, IT specialists, HR professionals, Forensics Investigators, and business managers trust Wavecrest’s Cyfin and CyBlock products to manage the human factor in business Internet usage — managing cloud services, reducing liability risks, improving productivity, saving bandwidth, and controlling costs. Trusted by large government and commercial organizations such as US-CERT Homeland Security, U.S. Department of Justice, USPS Office of Inspector General, National Grid, Johns Hopkins, and a growing list of global enterprises and government agencies. We are a proud long-term GSA contract holder. For more information on the company, products, and partners, visit https://www.wavecrest.net. Posted in CyBlock, Industry News, Wave News | Comments Off on Show cyber threats who is boss in 2018. It is holiday shopping time again! Cyber Monday is now more like Cyber Month! With Thanksgiving right around the corner, we all know what is coming–Cyber Monday–the big day (now it is more like a month!) for personal employee Web use! 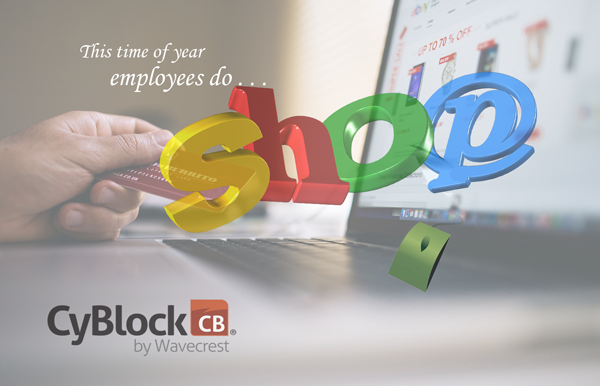 More than ever before, businesses are open to employee use of the company Internet for personal use such as snagging some holiday deals. But what does this really mean for daily business operations? That depends. There are definitely cyber risks associated with the season of shopping–malicious ads, phishing e-mails with malicious Web links, and slow bandwidth, to name a few. Paying attention to your employees’ Web usage is crucial. It is up to you whether you allow shopping on your network. If you do, there are steps you should take to manage this naturally vulnerable human endpoint. Filtering allows you to reduce risks from malicious URLs in ads, phishing, etc. . . . employees are your weakest link. Train them continuously but also make sure there is a Web filtering solution in place to allow you to manage the Web use the way you see fit. This time of year employees may be doing things such as watching a video review of the latest in tech toys for their kids. Make sure your mission-critical operations are not affected. Configuring bandwidth limits by user-defined thresholds and setting trigger alerts will help you make sure you don’t have unnecessary bandwidth hogs slowing your business down. Visibility means everything. With the right monitoring solution, you can easily analyze employee Web-usage trends, make sure your Acceptable Use Policy (AUP) is being followed, and get actionable, relevant detail when you need it. These are only a few of the things that you can do to help reduce the risks associated with employee Web use all year long. Remember that human vulnerabilities are a leading cause of most network breaches. Focus on the human endpoint. Take the time to keep training employees, enforcing your AUP, monitoring, analyzing, and filtering. At this time of year, you can feel good about allowing your employees some freedom to research or snag some holiday gift deals. 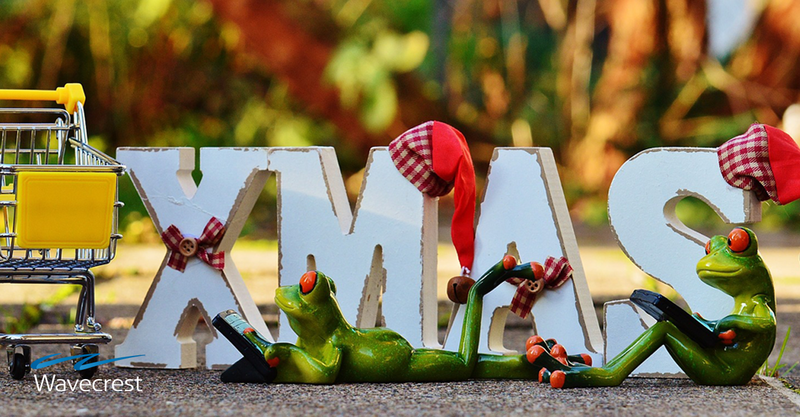 Have a comprehensive employee Web filtering and monitoring solution in place, and enjoy your holidays even more knowing you are proactively managing employee Web activity! Posted in CyBlock, Industry News, Uncategorized | Comments Off on It is holiday shopping time again! Cyber Monday is now more like Cyber Month! Posted in Control Internet Access, CyBlock, CyBlock Mini Appliance, Security Threats, Uncategorized | Comments Off on Are you leaving your small business Web-use security door open? Employees are still the central part of all our businesses. Even with all the technology, we still have people to run the operations. The human component of our business is the goal for most hackers. It is easier to find the human weakness than it is to find a network flaw. This human point of infiltration still needs attention, even when you feel your business is secure. Hackers are smart and agile. It’s a full-time job for them. They don’t get called into meetings, get distracted by co-workers, or have to worry about receiving their W-2 in time for their tax advisors. Their focus is to get into your network using those distractions against your employees. Your employees are busy and focused on what they have to get done, many juggling multiple responsibilities. Hackers like these employees; it’s like candy to them. Is there any one solution that will remove all risks? No. But there are ways you can help your employees protect themselves and your network. Ransomware, insider threats, phishing–there are so many threats that can halt operations that are critical to your business success. Be aware, prepare. A combination of defenses helps you reduce the risks we all face in business today. Don’t assume one will solve everything. 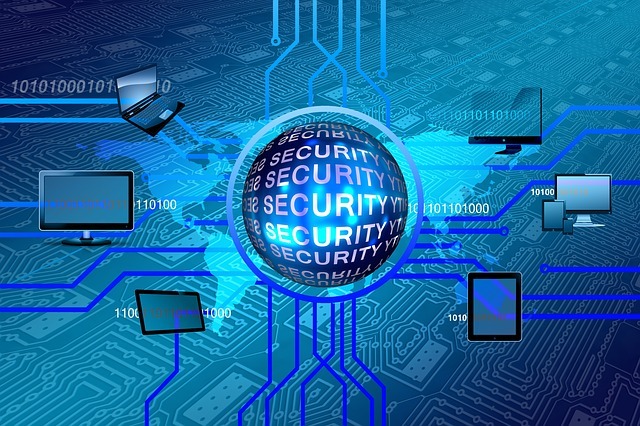 Develop multiple layers of proactive security. This can include anything from making sure your Acceptable Use Policy (AUP) is current or having consistent employee training, to firewall and virus protection, to Web-use comprehensive monitoring and filtering solutions. It is also important to have a recorded and tested recovery plan in place. Make the assumption that a breach will happen. This way you are prepared. Most importantly, maintain current backups. Make sure that the backups are not accessible through your network! The “one” solution to protect your business just doesn’t exist. Maintain a combination of defenses and solutions to cover as many risks as possible. Being proactive will pay off in the long run. 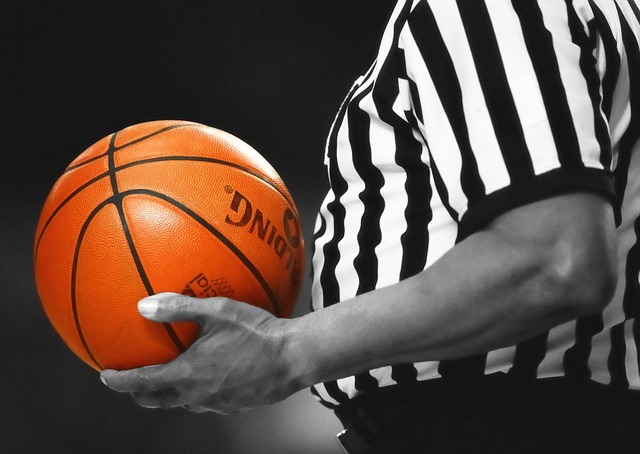 Are your employees full of March Madness? They will be! March Madness always produces a high level of anticipation and excitement. It ranks up there with the Super Bowl and the World Cup for many people. So fans want to make sure they see the games that for every year, the amount of series streaming surpasses expectations. We can all watch them on our phones, tablets, laptops, and desktops at any time and anywhere. Because of this, many managers now allow for some freedom during this time, so their employees can get their yearly March Madness fix. But there are risks to the business to always consider. With 18.1 million live hours, the tournament generated more video consumption than any other tournament. The national championship game generated 56 million impressions across March Madness social media accounts, up 112 percent over 2015. Video consumption for social media was also up with 8 million views overall, more than five times the volume of video for last year’s championship game. The first thing that pops into a manager’s mind is increased bandwidth use. It is an important thing to consider for sure since your business has mission-critical functions that have to run for your business to operate efficiently, even during increased Internet use. Making sure you can control and monitor bandwidth use by throttling nonessential traffic if needed, is critical to making the decision to allow streaming during any time, but especially during events like March Madness. The things that may not immediately come to a manager’s mind may be the increase in malicious links generated during times of special events. In a world with cyber threats, such as ransomware, a business cannot ignore times when this risk increases. March Madness is a time when many keep track of all the games, not just their one team. They follow the process through the whole series and enjoy the competitive nature right down to the Final Four and beyond. They may be more prone to fall for a March Madness ad link for a stat update or phishing e-mail to check the latest game highlights. During the whole series and even before it starts, educating your employees about the increase in cyber threats, such as malicious Web sites and ads, and phishing e-mails, is important. Security solutions that offer features like white/black listing and filtering will allow you to maintain Web-use protection against the human tendency to click without analyzing if the link or e-mail makes sense. Don’t just lock up employee Web-use. Protect your business and employees from threats, such as bandwidth hogs, malicious Web links, legal liabilities, and even productivity losses. Gain the control and security needed . . . and once again, let the games begin! Posted in Bandwidth Issues, CyBlock, Industry News, Uncategorized | Comments Off on Are your employees full of March Madness? They will be! One admin interface to manage all your employees’ Web use–CyBlock Hybrid Array. Since all your employees use the Internet in some way every day, whether for cloud services, research, or just e-mail, they are prime targets for hackers, malware, and data theft. Efficiency can play a key role in actively keeping your company secure from as many cyber threats as possible, especially today when your employees can be working in many different locations. Choosing multiple cloud instances allows for advanced coverage of your distributed workforce but this can be time-consuming if managing each separately. Solution? CyBlock Hybrid Array. Now you can have one server location to manage all your CyBlock Cloud instances as well as your main office CyBlock installation–see charts or run reports that include all the locations or focus on one, monitor any of the paired CyBlock Cloud accounts, and manage any policy changes that can automatically or manually be synced with the appropriate cloud instance. Easy, efficient, proactive management of your Hybrid deployment with multiple-region CyBlock Cloud capability. Saving more of your time so you can focus on the mission-critical operations. CyBlock Hybrid allows you to manage the policies for your on-premises and off-premises employees. Using CyBlock Cloud along with your CyBlock Appliance or Software installation, the Hybrid deployment secures remote and mobile users so there is no need to route traffic back to the main office. Free up local server bandwidth; easily monitor, filter, and manage users, both local and remote; and easily access reporting, real-time monitoring, and Dashboard charts for both your CyBlock Cloud and local CyBlock configurations. 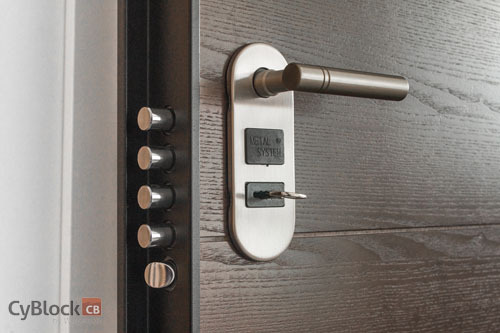 To find out more about CyBlock Hybrid and CyBlock Hybrid Array, please contact us today. Celebrating 20 years in business, Wavecrest Computing, headquartered in historic downtown Melbourne, FL, has provided commercial business and government clients with reliable, accurate Web-use management and Cloud Access Security Broker products since 1996. Managed Service Providers, IT specialists, HR professionals, and business managers trust Wavecrest’s Cyfin and CyBlock products to manage employee Internet usage — managing cloud services, reducing liability risks, improving productivity, saving bandwidth, and controlling costs. Wavecrest has clients worldwide, including General Electric, Lockheed Martin, Florida Department of Health, Siemens, Department of Homeland Security, and a growing list of global enterprises and government agencies. We are a proud long-term GSA contract holder. For more information on the company, products, and partners, visit https://www.wavecrest.net. Posted in CyBlock | Comments Off on One admin interface to manage all your employees’ Web use–CyBlock Hybrid Array. What was your first reaction last year when hearing of the Cisco acquisition of OpenDNS? Many comments we have heard include . . . yup . . . “there they go again.” There are always transitions and changes within the business world, many of them positive. We all understand that. But the changes that can occur from these kinds of acquisitions can end up costing you, the customer or the partner, more than you signed up for. As an OpenDNS Umbrella customer, are you getting tired of riding the corporate wave until you eventually see all of the prior benefits to remaining a customer melt away? It usually takes about a year to kick in. We have seen it in other big acquisitions, and there is a consistent pattern of what happens. We can make a difference for you. 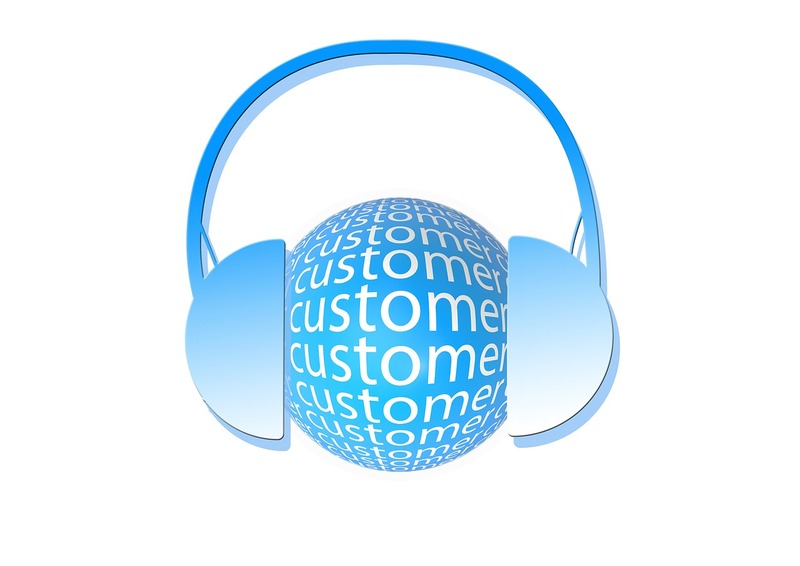 With a positive SMB mentality, Wavecrest strongly believes in one-on-one communication with our prospects, customers, and partners. When you reach out to us, we have a human being on the other end of the line who knows the product well, communicates well, and will take the extra step to help your enterprise and employees be more secure. You don’t have to go through automated calls, ticketing, or several levels of technical support to reach the person with the knowledge you need. For more than 20 years, we have been a hardworking, successful, customer-centric business, and we don’t plan on changing that for at least the next 20! Wavecrest also has the products you require–agile and reliable solutions for your Web Security needs, ranging from software and hardware deployments to cloud and hybrid deployments. No matter your business size, industry, or distributed workforce, Wavecrest has a solution for you. 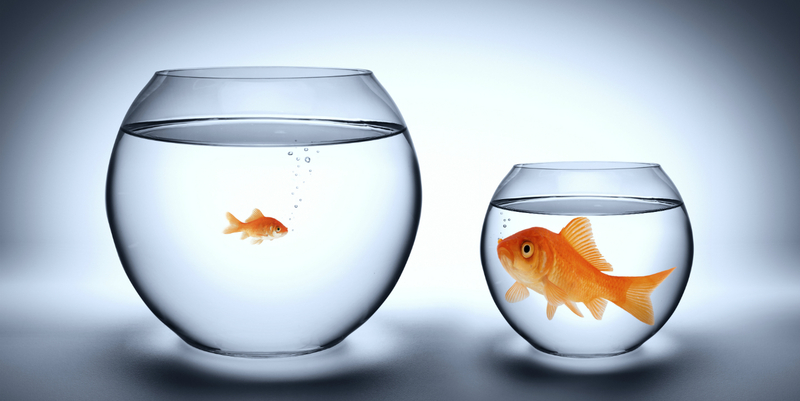 Don’t settle for a solution provider that isn’t listening to you. Let Wavecrest focus on your business and your specific requirements. Talk to us today. Celebrating 20 years in business, Wavecrest Computing, headquartered in historic downtown Melbourne, FL, has provided commercial business and government clients with reliable, accurate Web-use security management and Cloud Access Security Broker products since 1996. Managed Service Providers, IT specialists, HR professionals, and business managers trust Wavecrest’s Cyfin and CyBlock products to manage employee Internet usage — managing cloud services and guest Wi-Fi networks, reducing liability risks, improving productivity, saving bandwidth, and controlling costs. Wavecrest has clients worldwide, including General Electric, Lockheed Martin, Florida Department of Health, Siemens, Department of Homeland Security, and a growing list of global enterprises and government agencies. We are a proud long-term GSA contract holder. For more information on the company, products, and partners, visit https://www.wavecrest.net. Posted in Industry News, Wavecrest Computing | Comments Off on Is anyone listening? Time for a change . . . for the better. Changes are finally showing at Forcepoint since the Raytheon acquisition of Websense. We know Websense customers are feeling some pinch this year since the Raytheon policies are now kicking in. Support or customer service people are harder to get a hold of. When renewal time comes around, the pricing, contract terms, and even the product lines have changed, and more. Hesitate before you sign on again. Why should you pay extra for add-ons that should already be included in a Web-use security solution, like SSL inspection and U.S.-based technical support? Or why should you pay for a cloud solution that does not have the reporting detail that makes it a useful tracking or investigative tool? Research your options. It may well be time for your own change — to a stable, customer-centric Web-use security solution vendor like Wavecrest Computing. Wavecrest has cost-effective, comprehensive, agile, and reliable solutions for your employee Web-use security and analytics needs, ranging from software and hardware deployments to cloud and hybrid deployments–all with SSL inspection, forensic-level reporting detail, and U.S.-based technical support included. No matter your business size, industry, or distributed workforce, Wavecrest has an easy-to-setup and easy-to-manage solution for you. Leave the high prices and complicated contractual terms, hidden fees for technical support or product updates, and all the confusion behind. Let Wavecrest focus on your business and your specific requirements. Talk to us today. Celebrating 20 years in business, Wavecrest Computing, headquartered in historic downtown Melbourne, FL, has provided commercial business and government clients with reliable, accurate Web-use management and Cloud Access Security Broker products since 1996. Managed Service Providers, IT specialists, HR professionals, and business managers trust Wavecrest’s Cyfin and CyBlock products to manage employee Internet usage — managing cloud services and guest Wi-Fi networks, reducing liability risks, improving productivity, saving bandwidth, and controlling costs. Wavecrest has clients worldwide, including General Electric, Lockheed Martin, Florida Department of Health, Siemens, Department of Homeland Security, and a growing list of global enterprises and government agencies. Proud GSA contract holder for over 16 years and counting. For more information on the company, products, and partners, visit https://www.wavecrest.net. Posted in Uncategorized | Comments Off on Time for a change . . . for the better. Security should make you feel secure . . . right?! It is important to note that many companies are acquired every day, and this can be a good thing . . . for them. Or maybe not . . . “According to collated research and a recent Harvard Business Review report, the failure rate for mergers and acquisitions (M&A) sits between 70 percent and 90 percent,”Business Review Europe, 2015. More importantly for you as customers, many companies that are acquired leave old customers behind, picking up the pieces of what is left of good service, good prices, good products, and even good friendships. Service is a critical part of finding the right vendor, especially in security today. There are just too many risks out there that SMBs don’t have the time to fully educate themselves about–they just want to go about their business. So for these SMBs, it is more important to rely on a vendor who they know and trust. When this type of service ends, it can be a major disruption requiring many businesses to decide to deal with the higher prices, more complex contracts, and foreign-based service people with endless ticket systems and long wait times. About a year after the vendor is acquired, the new corporation’s policies really kick in, and customers start getting a good idea of changes. Renewal time comes around and instead of your vendor team member calling you to talk about how everything is and if there are any changes to your needs, you get an invoice with extensive terms and conditions that you need to hire a lawyer to understand. Prices increase and you wonder if it is not just to pay for all the terms and conditions being written! What once was one of your favorite products becomes a burden. Product names change, product lines are cancelled or combined with new product lines, and the confusion builds. Cybersecurity industry acquisitions are becoming hard to follow. One is bought by another, to be bought by another, and then another that has already bought five other companies . . . names mix, divisions are formed, and old relationships are destroyed. Security for your business should make you feel secure. 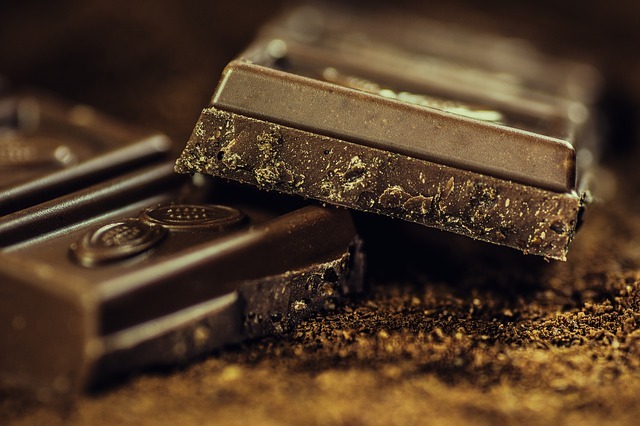 It should not be something that holds you back or gobbles you up. Don’t be fooled by the promises vendors make just to hold onto you so that they can raise prices at renewal time. You got into business to focus on what you do. It should not be about keeping up with the fine print of enterprise security, the in and outs of the industry acquisitions, confusing contract terms, and high prices. Find that vendor who will become your “stable go-to.” Get a security vendor that makes you and your business feel secure. Posted in Industry News, Wave News | Comments Off on Security should make you feel secure . . . right? !